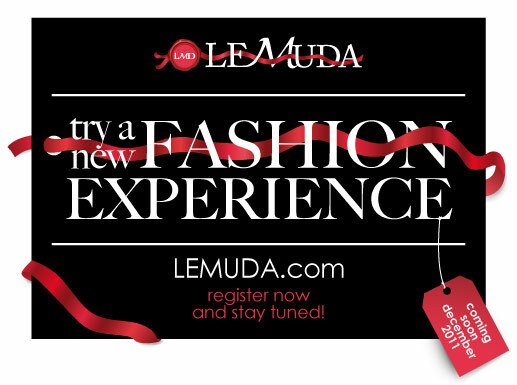 Middle Eastern Fashionista's Did you heard about Le Muda ? Le Muda is the new online luxury special store in the Middle East. Focusing on runway styles and trendy accessories to complete your outfit, LEMUDA equips you with tools to build your own unique and exclusive style at an affordable price. They are offering women‟s clothing, men‟s shoes and clothes, children‟s wear and toys, home-design and beauty products, coupons, travel and much more. Dont miss the chance and sign up to get the deals just right here.